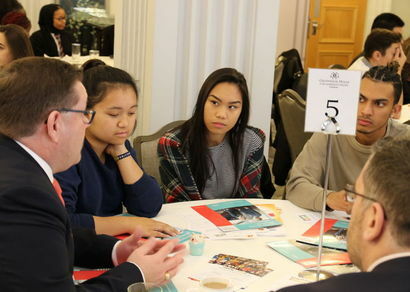 Last week, the Year 12 Travel & Tourism Students attended a speed career networking event in the Court Suite of the Grosvenor House Hotel on Park Lane. 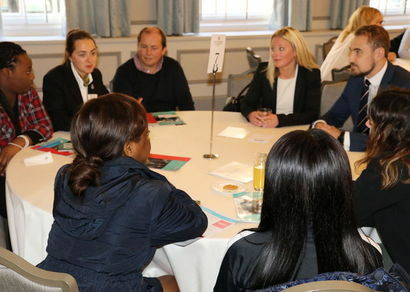 They had the opportunity to speak to a wide range of managers from the hospitality industry, including leading hotels such as the Marriott, Red Carnation Hotels and Juries Inn, as well as restaurants like the Italian neighbourhood restaurant chain, Aqua. Students interviewed the managers to learn about their business and career paths within the industry. 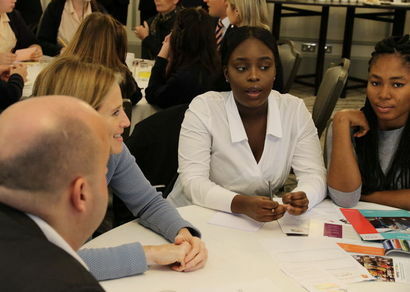 They also found out that having a positive attitude and gaining work experience are keys to success . Some students have already used the networking opportunity to make requests for part time work in the industry!